Ambassador Milan Bacevic has congratulated the upcoming Chinese New Year in a video message of the Sino-Asia Web TV Station. By conveying the best wishes for good health and successful year to the users of this online channel, Ambassador Bacevic has also congratulated 70th Anniversary of the establishment of the People’s Republic of China and its achievements that it has accomplished during seven decades. He has praised China's role in world affairs, its activism in expanding partnerships and strengthening friendships with many countries, thus contributing to its international credibility. Special merit belongs to the „Belt and Road“ initiative where smaller countries position themselves as well while recognizing their political and economic interest. As one of the countries on the “Belt and Road” route, Serbia looks forward to the success of China with which it cultivates the relationship of “iron friendship”. To view Ambassador’s video message, please click here. With the music of traditional string instrument “gusle” and the Serbian contemporary art exhibition, on 29 November 2018 Minister of Culture and Media of the Republic of Serbia H.E. 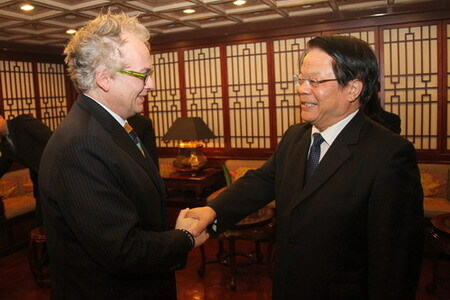 Mr. Vladan Vukosavljevic and Minister of Culture and Tourism of the People’s Republic of China H.E. Mr. Luo Shugang, as the honorable guest, unveiled the Cultural Center of Serbia – Ivo Andric in the 798 Art District in Beijing. Minister Vukosavljevic said that strategic partnership, deep friendship and highly dynamic cultural and art cooperation between the two countries have been decisive in opting for establishing the place where Chinese citizens will have an opportunity to get acquainted with Serbian culture. The intention is to affirm the beauty of the deep core of Serbian tradition to the diversity of dynamic Serbian contemporary fine and applied arts. The Center will in the future also promote Serbian film, language and literature. The programs of the Center will also show Serbia as a tourist destination for the Chinese – by means of various festivals and diverse cultural heritage. Minister Luo Shugang expressed his warm congratulations emphasizing the significance of the event for everyone in China, especially for bilateral cultural ties of two countries, as it serves as a new window through the Chinese audience will learn more about the Serbian past and present. It is expected the Chinese Culture Center will be opened next 2019 year in Belgrade. The Cultural Center of Serbia was given the name of Ivo Andric, the world renowned Serbian Nobel Prize winner for literature and it is the second Serbian cultural center in the world. On behalf of the Ministry of Trade, Tourism and Telecommunication of the Republic of Serbia regarding the procedure for selecting the company which will give the best conditions specified in the Biding Dossier for design, construction and dismantling of the stand of the Republic of Serbia at the China International Import Expo in Shanghai, the Embassy of the Republic of Serbia to the People’s Republic of China is starting a procedure of selecting companies. All documents for the applicants is below. Public security organizations are in charge of the safety and control of fireworks. Below, please find an abstract regarding the regulations about fireworks safety management. 1. No setting off fireworks on the 5th Ring Road and the area within the 5th Ring Road. 2. Outside the 5th Ring Road, no setting off fireworks in areas with signs notifying “no fireworks.” Fireworks are allowed in areas without the signs, 7:00 am to midnight every day from February 15th to March 2nd, 2018. 3. If any organization(s) needs to set off fireworks in the area where fireworks are forbidden, Beijing Municipal Government needs to approve this and makes public announcement. 4. Transporting and selling fireworks needs approvals from supervisory and management units. 5. Fireworks purchase should be from companies and/or organizations with firework selling permit. The weight of fireworks stored by individuals and/or organizations are not allowed to exceed 30 kilograms. Fireworks will be confiscated, and 1,000 Yuan to 5,000 Yuan fine for organizations and 100 Yuan to 200 Yuan for individuals will be imposed. For severe cases, the fine is 5,000 Yuan to 30,000 Yuan for organizations and 200 Yuan to 500 Yuan for individuals. At its meeting of 28 January 2018, the Government of the Republic of Serbia adopted the Decision on visa exemption for the nationals of Bahamas, Barbados, Jamaica, Saint Vincent and Grenadines, Paraguay and Colombia, holders of all passports. Under the Decision, the nationals of those countries can enter, transit through and stay in the territory of the Republic of Serbia without a visa, during a period not exceeding 30 days from the date of entry, within period of one year, if there are no hindrances defined in Article 11 of the Law on Foreigners . The Decision is published in the "Official Gazette of the Republic of Serbia" No.10/2018 of 7 February, 2018, and will enter into force of 15 February, 2018. Bora Milutinovic, one of the greatest world football coaches visited today the Embassy of the Republic of Serbia in China. The legendary football expert, who led China's to its only World Cup finals campaign in 2002 and thus entered the history of Chinese football, has recently appointed a youth training consultant by the Chinese Football Association (CFA). This time, Bora Milutunovic, who is regarded as the Chinese national hero, was in China at the invitation of the CFA during which he attended a 5x5 Football Golden League event in Chengdu, in Sichuan province. The Chinese media has extensively reported about the visit of our celebrated coach, who participated in the World cup five times as a selector of various national teams. 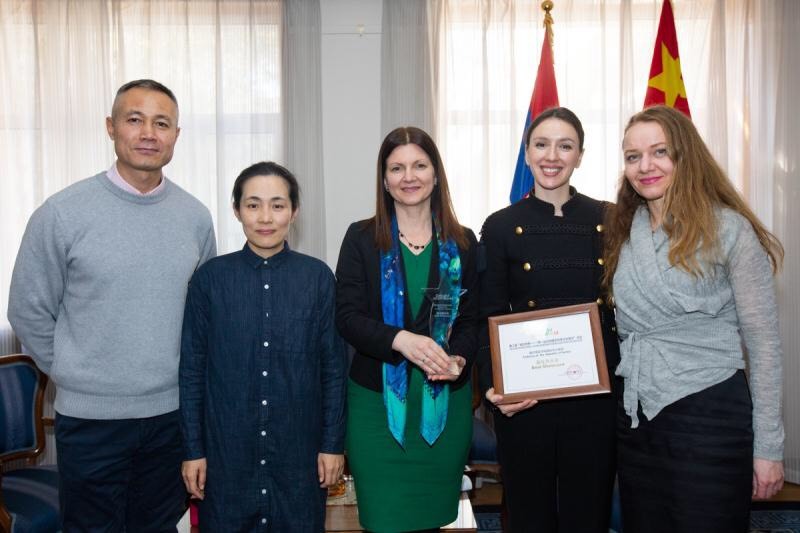 The Beijing Cultural Center for Foreign Exchange, that was an organizer of the Second Colorful World Cultural Exhibition of Countries along the Belt and Road, under the auspices of the Beijing Government, has awarded the Embassy of the Republic of Serbia the Best Showcase Prize. The event has gathered several hundred thousand visitors. About 45 foreign embassies including CEEC (Slovenia, Croatia, Hungary, Romania, Lithuania etc.) have taken part in this event as the platform for cultural exchange activities between China and the countries along the Belt and Road. Through its boot exhibition and presentation, The Embassy of Serbia has presented cultural and tourist resources, potentials of the creative industry, achievements in the field of fashion and industrial design. 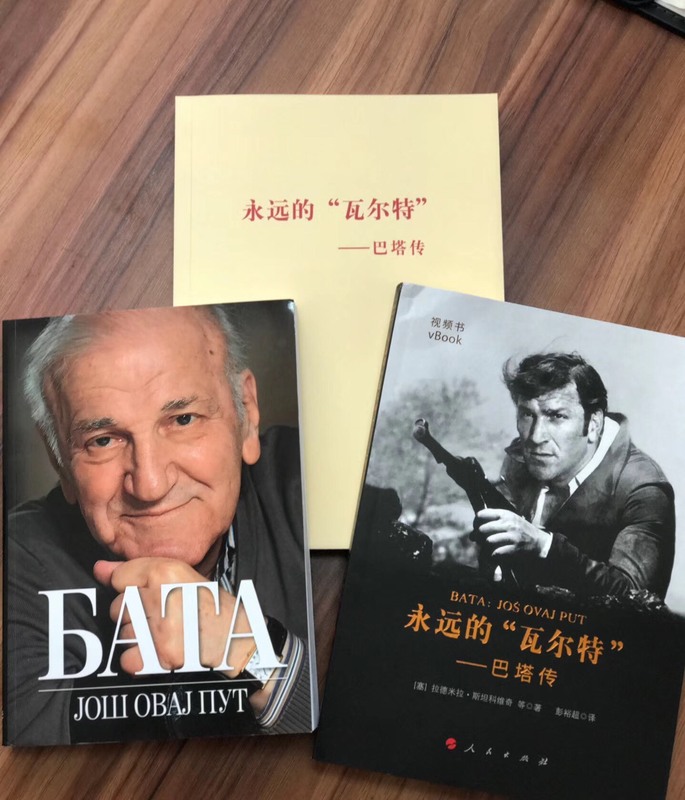 The promotion of biography of one of our greatest actors Bata Zivojinovic "Bata, just this one more time" in the edition of the Renmin Publishing House was held at the Beijing Book Fair. Editor-in-chief Sung Guangwei said that the book was a memory of Walter's character whose courage, patriotism and unbribableness enabled the Chinese to get acquainted with Serbian culture inspiring their image of the world. 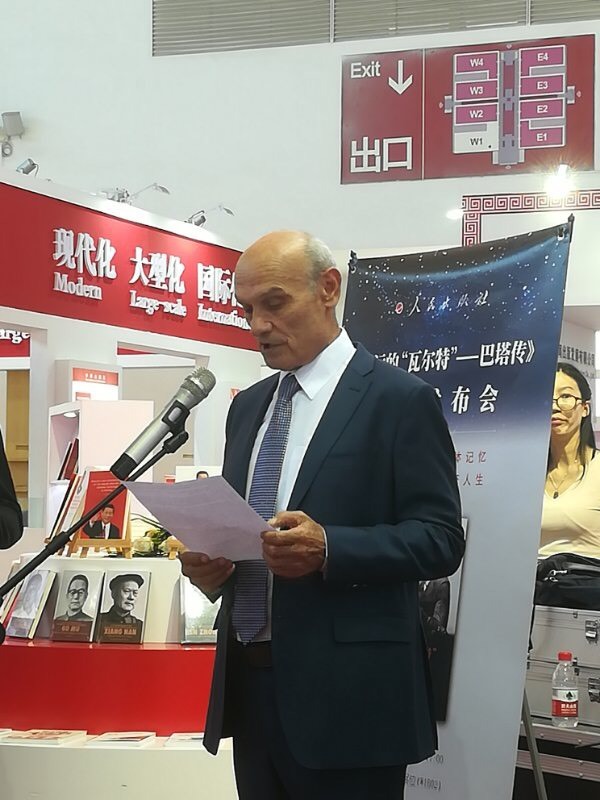 In his address, ambassador Milan Bacevic said that the Chinese translation of the biography of our actor was a recognition of his creativity that contributed to the deepening of Serbian-Chinese friendship and the breakthrough of the Serbian cinematography and culture in China. The publication of the book was jointly carried out by the Association of Friendship of Chinese Peoples with Abroad, the Chinese Writers' Association for Writing and the Beijing Foreign University. The First Edition of the Biography was printed in three thousand copies. The publisher, one of the largest in China, the book will be a great success by presenting its hero to the Chinese audience not just this one more time but forever. At its meeting of December 28, 2017, the Government of the Republic of Serbia adopted the Decision on visa exemption for the nationals of the Republic of Suriname, holders of all passports. The Decision is published in the "Official Gazette of the Republic of Serbia" No.119/2017 of December 29, 2017, and enter into force of January 5, 2018 Under the Decision, the nationals of the Republic of Suriname can enter, transit through and stay in the territory of the Republic of Serbia without a visa, during a period not exceeding 30 days from the date of entry, within period of one year, if there are no hindrances defined in Article 11 of the Law on Foreigners. At its meeting of 8 December 2017, the Government of the Republic of Serbia adopted the Decision on visa exemption for entry in the Republic of Serbia for the nationals of the Republic of the Guinea Bissau, holders of all passports. The Decision is published in the "Official Gazette of the Republic of Serbia" No. 111/2017 of 11 December 2017 and enter into force on 19 December 2017. The nationals of the Republic of Indonesia, holding ordinary passports, can enter, transit through and stay in the territory of the Republic of Serbia without a visa, during a period not exceeding 30 days from the date of entry, within period of one year, if there are no hindrances defined in Article 11 of the Law on Foreigners. The Decision will enter into force and apply starting from 14thof October 2017. 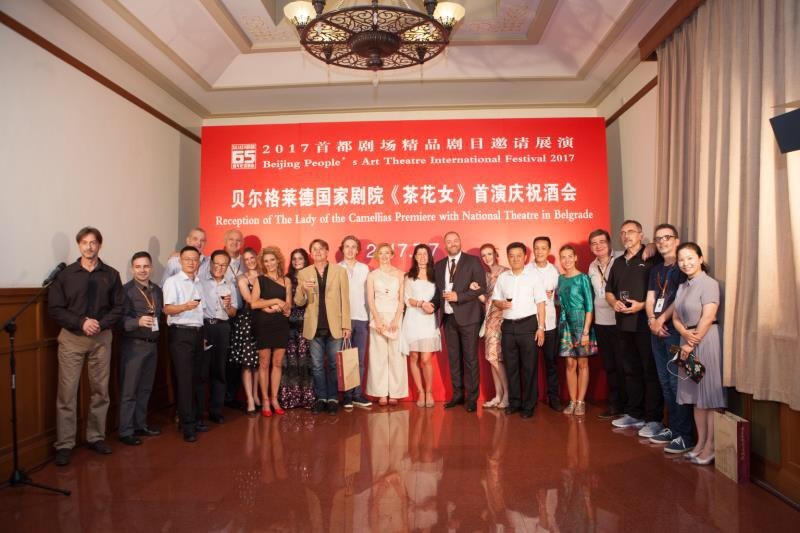 On 7th July 2017, the Beijing City Theater premiered the play "Lady with the Camellias" of the ensemble of the Serbia National Theatre, directed by Jug Radivojevic. Realized within the Cultural season China-CEEC 2017, this year's performance of the National Theatre has been in the same time the first stage performance in the history of our oldest theatre that has been seen by the Chinese audience. Chinese host, the director of the Beijing Capital Theatre, Mr. Ding Lijun called for more intensive cooperation with theatres from Serbia with the aim of more dynamic people-to-people exchanges and better mutual understanding in which cultural cooperation plays a major role. Z. Hubac, drama director, has expressed the expectations to welcome in return Chinese ensemble, especially considering that next year the National Theatre will celebrate 150th anniversary. The play "Lady with the Camellias" in Beijing, during a three-day staging, has been seen by more than 3,000 Beijingers. (Beijing, 9 August 2016) Students and pupils from Serbia learning Chinese language, participants of the International Summer Camp of the Confucius Institute (Hanban) at the Communication University of China in Beijing, visited the Embassy of the Republic of Serbia on 9 August 2016. (Beijing, 13 November 2015) Ambassador of the Republic of Serbia H.E. Milan Bačević presented credentials to President of the Presidium of the Supreme People's Assembly of the Democratic People's Republic of Korea H.E. Kim Yong Nam on 12. November 2015. During the meeting of Ambassador Bačević with President of the Presidium of the Supreme People's Assembly H.E. Kim Yong Nam, both sides expressed traditional friendship of the two countries and its peoples. (Beijing, 28 October 2015) Delegation of the city of Belgrade, headed by Mayor Siniša Mali, visited Beijing 25-27 October 2015. On that occasion, the Mayor of Belgrade met Mayor of Beijing Wang Anshun and representatives of the Beijing city commissions in charge of international cooperation, trade, administration, management and the environment, planning, urban development, culture and tourism. At a meeting the two mayors expressed their satisfaction over the development of friendly relations and cooperation between the two cities, which have marked this year 35th anniversary of the signing of the agreement on cooperation and friendship. They expressed willingness to enhance existing relationships through intensifying contacts on different levels, cooperation in areas of economy, tourism, culture, education and exchange of experience on the functioning of public administration. Mayor of Belgrade also visited the Commission for the development of tourism of the city of Beijing. During his visit, Mr. Mali had meetings with the Director-General of the Beijing Commission for trade and representatives of major Chinese companies (China Railway Group, Sinohydro Corporation Ltd, Beijing Urban Construction Group, Beijing UN Construction Group, CGC Overseas Construction Group, Beijing Construction Engineering Group). 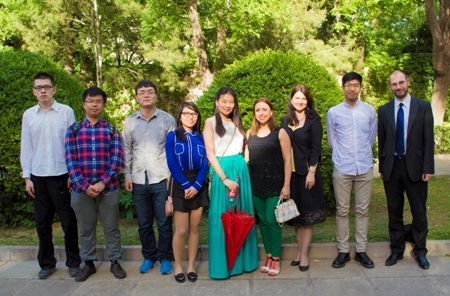 (Beijing, 5 June 2015) At the invitation of the Embassy of the Republic of Serbia in Beijing, professors and students of the Department for Serbian Language of the Beijing Foreign Studies University (BFSU) visited the Embassy on 5 June 2015. Ambassador of the Republic of Serbia H.E. Mr. Milan Bačević welcomed the guests from the BFSU, after which the students watched the Serbian movie „We are not angels“. (Belgrade, 27 February 2015) The political and business delegation of the Hebei Province, led by its Vice Governor Mrs. Qin Boyong, visited Belgrade on 27 February 2015. The delegation was received by the President of the Republic of Serbia Mr. Tomislav Nikolić, Minister of the Mining and Energy Mr. Aleksandara Antić, President of the Assembly of the City of Belgrade Mr. Nikola Nikodijević, representatives of the Chamber of Commerce of the City of Belgrade and the Institute of Transportation CIP. During the visit, the main topic was development of economic cooperation and participation of the Hebei Province in the realization of important infrastructure projects in the Republic of Serbia. The Hebei Province has the population of more than 73 million and it is the 6th most developed region of China. 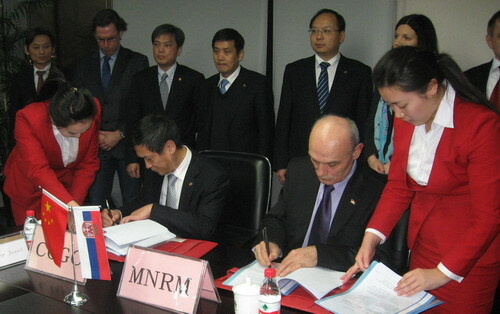 The intensified cooperation between Hebei and Serbia was initiated during the visit of the Ambassador of the Republic of Serbia Mr. Milan Bačević to the city of Zhangjiakou form 23 to 25 January, upon the invitation of the Provincial People`s Government of Hebei. 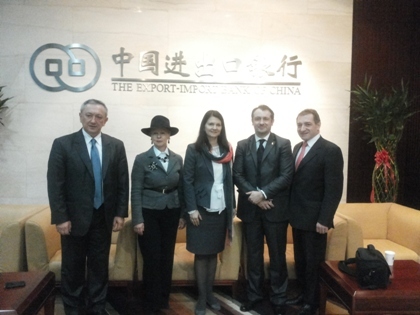 (Beijing, 27 January 2015) Ambassador of the Republic of Serbia Mr. Milan Bačević and Minister Counsellor Mr. Bojan Cvetković visited the TBEA Company’s head office in Beijing on 27th January 2015, upon the invitation of the Mr. Zhou Liliang, Vice General Manager for International Business. The TBEA is one of the leading Chinese companies in the field of energy, energy transmission and new materials, with 649 patented technologies and projects in 60 countries around the world. The representatives of the company have expressed their interest for expanding of their activities in Serbia. (Beijing, 23 January 2015) The Deputy Director – General of the Department of European Affairs of the Ministry of Commerce of the People’s Republic of China Mr. Xu Xiaofeng, received the Ambassador Mr. Milan Bačević and Minister Counsellor Mr. B. Cvetković on 23 January 2015. 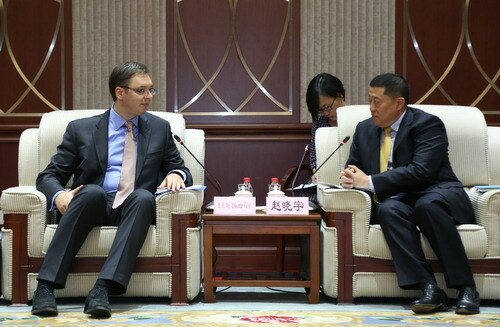 During the meeting, the actual issues concerning the economic cooperation between the People’s Republic of China and the Republic of Serbia were discussed, specially the improvement of Chinese direct investments and the participation of Chinese enterprises in the process of privatization of Serbian companies. (Beijing, 22 January 2015) Extraordinary and plenipotentiary Ambassador of the Republic of Serbia to the People's Republic of China H.E. 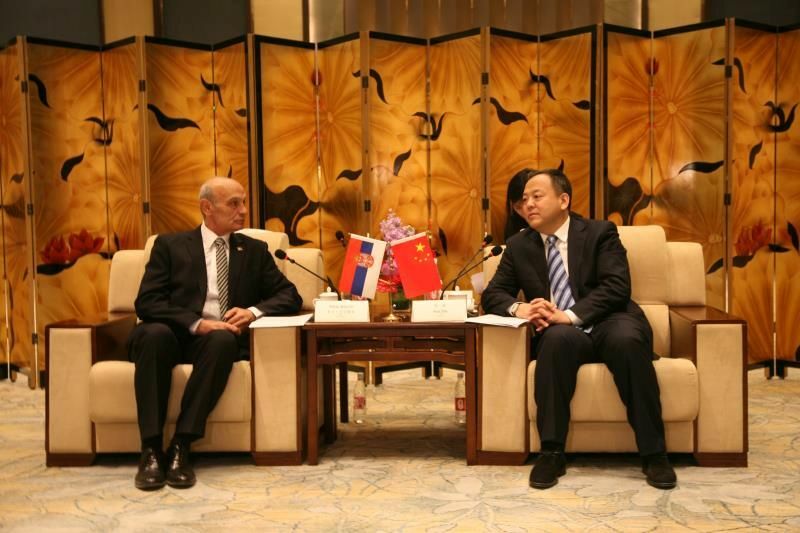 Mr. Milan Bacevic presented credentials to President of the People's Republic of China H.E. Mr. Xi Jinping, on 22nd of January 2015. 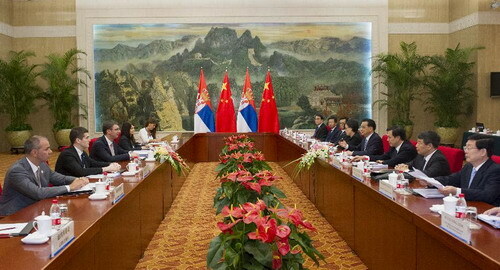 In the brief meeting during the ceremony, both sides confirmed readiness for further enhancement of overall bilateral relations and deepening of strategic partnership between the Republic of Serbia and the People's Republic of China, as well as within the format of cooperation between China and 16 Central and Eastern European Countries. Both sides stressed extraordinary good political relations, as well as possibilities for further development of cooperation in the field of economy. The mutual support on the crucial issues for both countries was confirmed. (Beijing, 19 January 2015) Ambassador Mr. Milan Bačević received on 19th January 2015 the representatives of the newly formed Chinese – Serbian Business Club, who presented to him the goals and priorities of this society. The Ambassador discussed with the President and Coordinator of the Club, Mr. Zoran Bogdanović and Mr. Nebojša Ristić, about the modalities of its future cooperation with the Embassy and the other institutions of the Republic of Serbia. (Belgrade, 14 January 2015) The delegation of the National Development and Reform Commission of the People’s Republic of China, led by its Vice President Mr. Xu Xianping participated at the the Second Meeting of the Joint Working Group on China – Hungary – Serbia Transport Infrastructure Cooperation, held in Belgrade on 14 January 2015. At the end of the meeting, Mr. Xu Xianping, Mr. Péter Szijjartó, Minister of External Economy and Foreign Affairs of Hungary and Mrs. Zorana Mihajlović, Deputy Prime Minister and the Minister of Construction, Transport and Infrastructure of the Republic of Serbia signed the Cooperation plan of the Hungarian-Serbian Railway Project. This document defined the framework and the timetable for the preparation of the Feasibility Study and the cope and the dynamics of further activities on the project. The Second Meeting of the Joint Working Group was preceded by intensive consultations between the Embassy of the Republic of Serbia and relevant Chinese institutions. It represents the important step toward the realization of the goals defined during the meeting of the prime ministers of three countries in during the third Meeting of Heads of Government of China and Central and Eastern European Countries held in Belgrade in December 2014, as well as the Memorandum of Understanding on Cooperation of the Hungarian-Serbian Railway Project. (Beijing, 13 January 2015) Upon the invitation by senior vice-president of the Huawei Company, Mr. Guo Tianmin, the Ambassador of the Republic of Serbia Mr. Milan Bačević and the Minister Counsellor Mr. Bojan Cvetković visited company’s research unit in Beijing on 13th January 2015. Mr. Guo Tianmin made presentation of the latest projects developed by Huawei, as one of the leading world companies in the field of information technologies, and discussed with the Ambassador about the perspectives of their further engagements in Serbia. (Beijing, 24 November 2014) A delegation of the Ministry of Defense of Serbia and the Serbian Armed Forces, headed by Defense Minister Bratislav Gašić, visited the People's Republic of China from 17 to 21 November 2014. 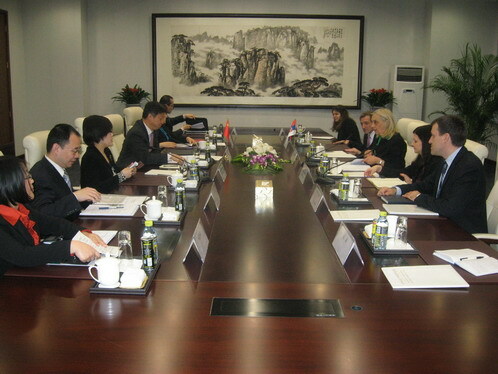 (Beijing, 28 October 2014) A delegation of the Ministry of Culture and Information of Serbia, led by minister Ivan Tasovac, with state secretary S. Mirkovic, secretary of the Ministry I. Jovicic, chief of the Cabinet J. Marinkovic and assistant minister A. Draca Muntean, visited the People's Republic of China from 23 to 28 October 2014 at the invitation of the Chinese Minister of Culture Cai Wu. 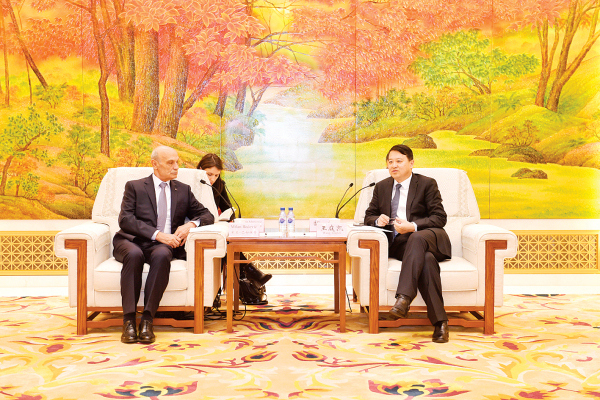 During his visit to Beijing, minister I. Tasovac with the delegation had meetings with the main host, Minister Cai Wu and in the State Administration of Cultural Heritage, the State Administration of Sports and the China National Symphony Orchestra. In addition, the delegation visited several cultural institutions and cultural sites. A high level of relations between the two countries was highlighted during the meetings, and ways for further intensification of cooperation were discussed (exchange of orchestras, museum exhibitions, cooperation in the field of film and new forms of creative industries, translating literary works, preservation of cultural heritage etc). During a visit to Shanghai, MKI I. Tasovac had meetings with representatives of the city administration and the directors of several cultural institutions. (Beijing, 13 September 2014) Prime Minister of the Republic of Serbia Aleksandar Vučić visited the People's Republic of China from 9 to 12 September 2014. During a visit to China, PM A. Vucic was in Beijing and Tianjin, where he participated in the World Economic Forum ("Summer Davos") and attended the opening ceremony. 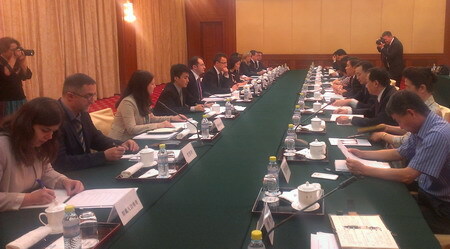 In Tianjin a bilateral meeting was held with Premier of the State Council of the People's Republic of China Li Keqiang. During the talks, the two Prime Ministers emphasized the extraordinary political relations and especially mutual willingness to further deepen strategic partnership in all areas. With determination to further develop economic cooperation between Serbia and China, cooperation on implementation of major projects between the two countries was especially underlined. In addition to the completion of the project of the bridge Zemun-Borča, special emphasis was placed on the project of modernization of the railway Belgrade-Budapest, as well as other ongoing and planned projects with Chinese partners. 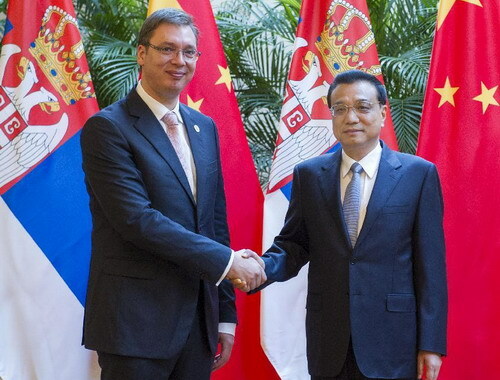 Chinese Premier Li Keqiang accepted the invitation of PM Aleksandar Vučić to visit Belgrade in December 2014, during the Summit of the Prime Ministers of China and the countries of Central and Eastern Europe. This will be the first bilateral visit from China to Belgrade on the level of Prime Minister after three decades, and bridge Zemun-Borča over the Danube, being built by a Chinese company CRBC, will be open on this occasion. During his stay in China PM Aleksandar Vucic had a meeting with the Vice Governor of the China Development Bank Mr. Zhao Xiaoyu, as well as the leaders of a number of Chinese companies. (Beijing, 12 June 2014) Organized by the Ministry of Commerce of the People's Republic of China, the Secretariat for Cooperation between China and the CEE countries and the Government of Ningbo, a Ministerial conference on the promotion of economic cooperation and trade between China and CEE countries was held in Ningbo 7-9. June 2014. Chinese Minister of Commerce Gao Hucheng hosted the representatives of 16 CEE countries. Serbia was represented by the State Secretary in the Ministry of Trade, Tourism and Telecommunications Stevan Nikčević. All parties underlined commitment to the further development of cooperation between China and CEE. 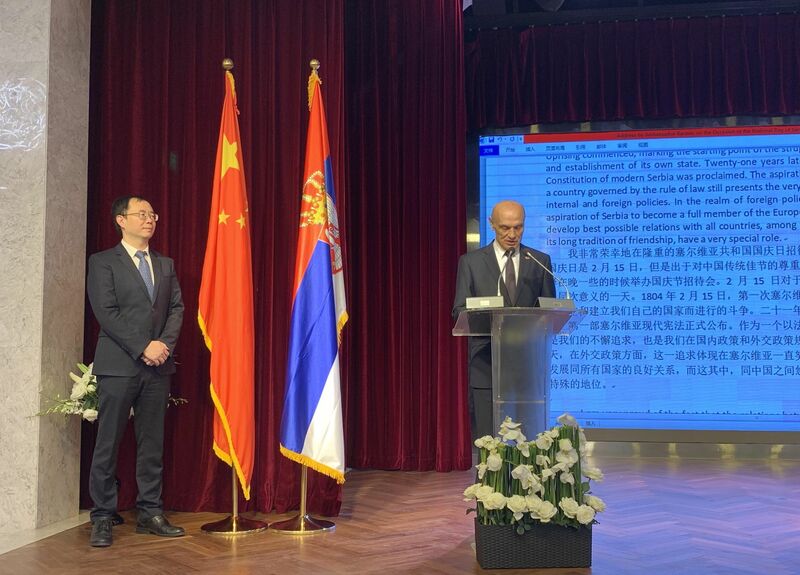 In his speech, S. Nikčević stressed readiness of Serbia for further development of strategic partnership with the People's Republic of China, especially in the area of economic cooperation. He invited Chinese investors to invest in Serbia. S. Nikčević had separate meetings with the Vice Minister of Commerce of China Zhong Shan and Vice-MFA of Hungary P. Szijjártó, as well as a short courtesy meeting with the State Councilor Yang Jiechi. 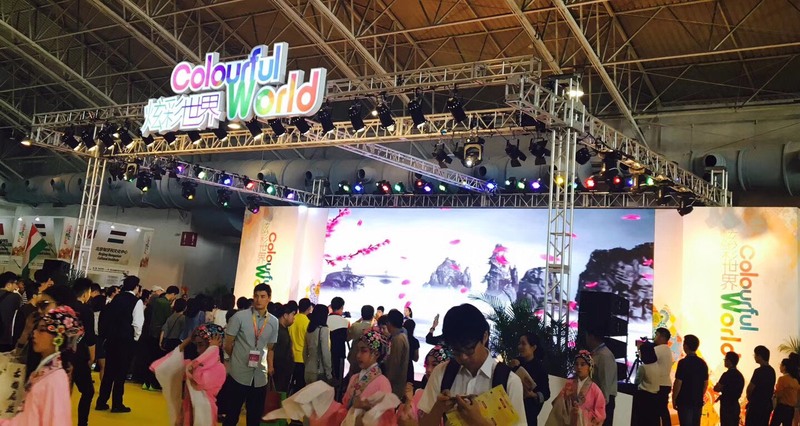 During the Conference, CEE countries' Products Fair was held in Ningbo. 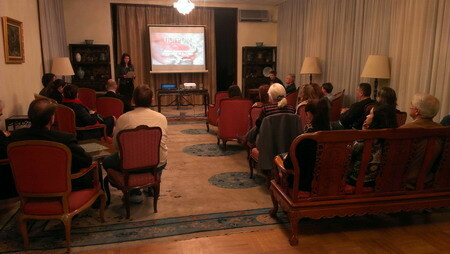 The participation of Serbia was organized by the Chamber of Commerce of Serbia and the Belgrade Chamber of Commerce. (Beijing, 31 May 2014) On 29 May 2014 a humanitarian action was organized in the club "Ink" in Beijing, supported by the Embassy of the Republic of Serbia in Beijing and the Association of Serbia and friends. 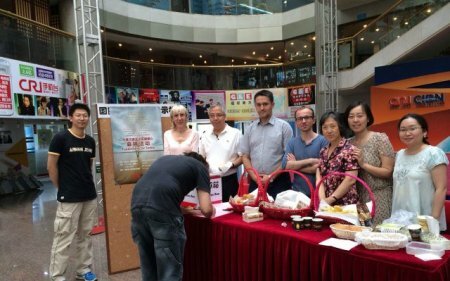 Check with the amount of 35,136 RMB, which were raised at this event, was handed by the co-owner of the club Mr. Ivan Maksimovic to the Embassy on 30 May 2014. Embassy expresses its gratitude to all those who assisted and participated. 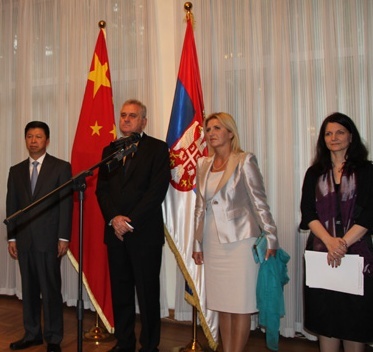 (Beijing, 28 May 2014) A meeting with the representatives of the major Chinese media was organized at the Embassy of Serbia in Beijing on 28 May 2014, in order to inform on the catastrophic floods in Serbia and ways to send the humanitarian help. 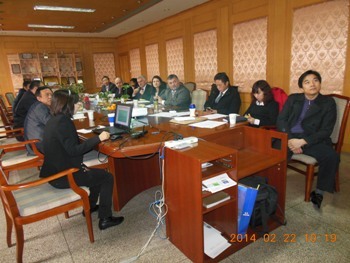 Media representatives from Renmin Ribao, Guanming Daily, Global Times, China Radio International, Lookwe magazine etc. were present at the meeting. Charge d’ Affaires a.i. of the Embassy Mrs. Tatjana Panajotović Cvetković explained the current situation in the Republic of Serbia, Serbian Government's efforts to manage the floods, as well as possibilities for sending aid from China to Serbia. She appealed for help from the media in disseminating information on methods of collecting humanitarian aid, while thanking for the announced support of the Chinese Government and the Red Cross of China. After the meeting, head of the editorial board of China Radio International in Serbian language Tian Yu (Ana) presented the donation of the CRI, collected in a humanitarian action of the Radio in the amount of RMB 10,146.00 and $ 100. The ceremony was attended by journalists from the editorial board Branko Žujović and Zoran Ranković, who was the initiator of the said humanitarian action. (Beijing, 3 April 2014) Cyclist Snežana Radojičić, who in July 2011 embarked on a trip around the world by bicycle, visited the Embassy of the Republic of Serbia in Beijing on 2 April 2014. 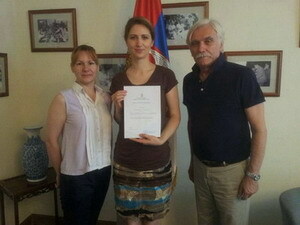 Representatives of the Embassy wished her success and happiness in this unique venture. (Beijing, 24 March 2014) In celebration of the month of Francophonie in China, in the organization of the French Embassy and the French football club in Beijing L' Equipe, a diplomatic football tournament was held on the 23 March 2014 at the O'le football field in Beijing. 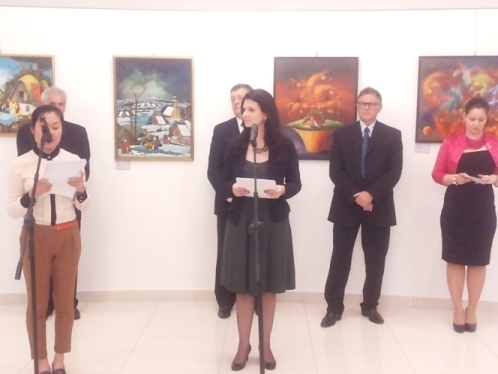 As in previous years, the Embassy of Serbia participated in the competition. Among six teams (Serbia, France, Belgium, Ivory Coast and two teams with mixed composition), Serbian team was ranked fifth. (Beijing, March 2014) Tenth anniversary of the pogrom of Serbs and non-Albanians in Kosovo and Metohija (17.3.2004) was marked on the 21.3.2014. in the Embassy of the Republic of Serbia in Beijing, by the Association of Serbs in China "Serbia and friends" and the Embassy, in the presence of about 30 representatives of the Serbian diaspora and foreign guests. After the president of the Association "Serbia and Friends" Zoran Bogdanović and Charge d’ Affairs a.i. 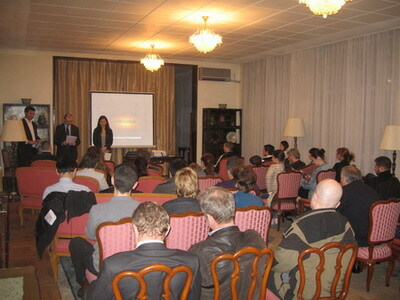 of the Embassy Tatjana Panajotović Cvetković addressed the guests, film regarding the 17th March pogrom "Crime without punishment after 10 years" was screened. (Beijing, 17 March 2014) A technical meeting of the trilateral working group of Serbia, Hungary and China regarding cooperation on high-speed railway project between Belgrade and Budapest was held in Beijing in the National Development and Reform Commission of China on 11 March of 2014. At the meeting, representatives of the three parties presented their vision of further work and preparation for the first official meeting at the level of heads of working groups. In the Serbian delegation, which was headed by the deputy minister of transport Dejan Lasica, were also the special adviser to the minister of finance Maria Bijelić, assistant director general of the Serbian Railways Nena Tomović, director of development of the Serbian Railways Milan Stanisavljević, technical director of the Institute of transportation CIP Milosav Andjelković and lead designer of the Institute of transportation CIP Jelica Šumanac. In addition to participating in the meeting in the National Development and Reform Commission, the delegation was received by Vice Minister of Foreign Affairs of China Wang Chao, who is also the Secretary General of the Secretariat for cooperation between China and Central and Eastern European countries. During the visit to China, the delegation also had talks with representatives of Chinese companies. 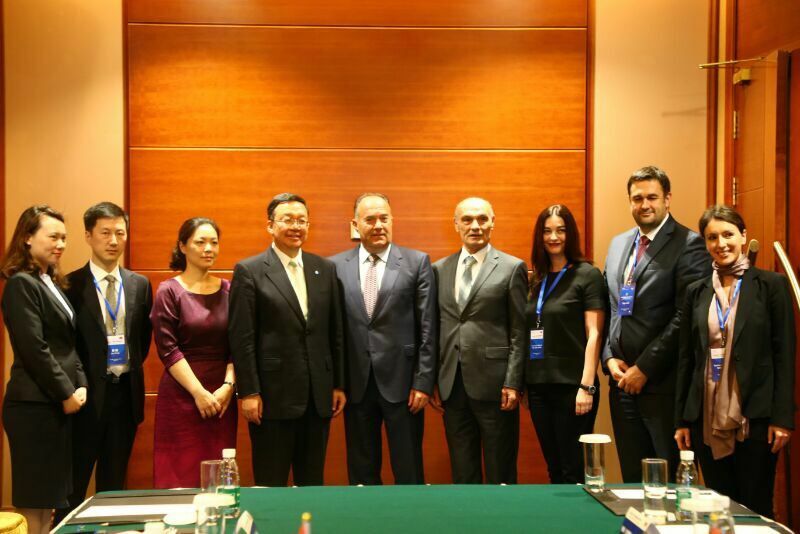 From the Embassy of Serbia in Beijing, Charge d' Affaires a. i. Mrs. Tatjana Panajotović Cvetković, minister counselor for economic affairs Zoran Djordjević and third secretary Mirko Kuzmanović were also present at the meetings. (Beijing, March 2014) Director of the Clinical Center of Serbia prof. dr Miljko Ristić and chief of the surgical unit of the Clinic of Cardio-surgery, dr Svetozar Putnik visited China from 4 to 9 March 2014, at the invitation of the „Carvar Heart“ Center in Yinchuan in the province of Ningxia. The aim of the visit was the agreement on cooperation between Clinical Center of Serbia and „Carvar Heart“ Center, which would include opening of the cardio-surgery center in China with the help of a team of experts from the Clinical Center of Serbia. 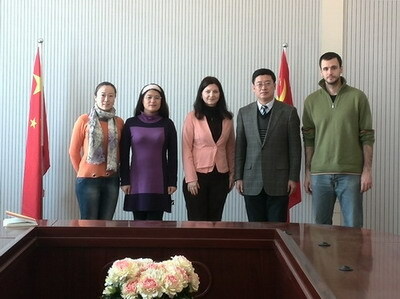 In this regard, the delegation of Clinical Center of Serbia had talks with the director of „Carvar Heart“ Center Su Yin. 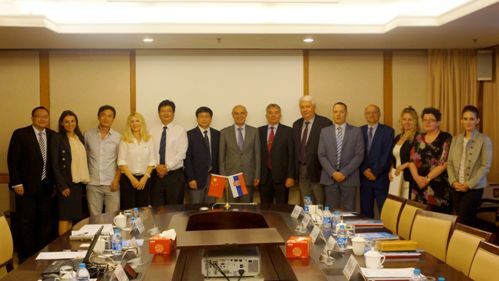 During the visit of the delegation of the Clinical Center of Serbia to Beijing, a meeting was organized with senior Chinese officials - Secretary of the Communist Party of Yinchuan Xu Guangguo, as well as with the Mayor Ma Li, which was attended by representatives of the Embassy of Serbia in Beijing. During the meeting both sides expressed their willingness to establish long-term cooperation in the field of medicine between the two above-mentioned medical centers. (Beijing, 27 February 2014) At the beginning of its two-month tour in the People's Republic of China, the cultural-artistic ensemble „Frula“ („Flute“) from Belgrade visited the Embassy of the Republic of Serbia in Beijing on the 27 February 2014. 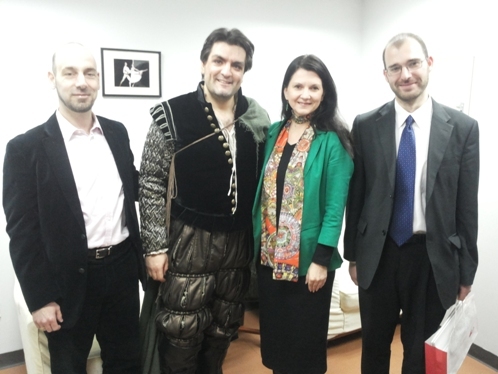 Artistic director of the ensemble Mr. Dragoslav Džadžević and the entire lineup of the „Frula“ was greeted and welcomed by the Chargé d' Affaires a. i. of the Embassy of Serbia in Beijing Mrs. Tatjana Panajotović Cvetković. Ensemble „Frula“, which has for 50 years successfully promoted the national folk dances of Serbia all around the world, is touring in China for the third time. During the two-month tour „Frula“ will perform more than 40 concerts in more than 25 cities in China. The tour will last until 1 May 2014. (Beijing, 23 February 2014) Delegation of "Zastava vehicles" Group, headed by the CEO Dragan Srejović, visited China from 18 to 22 February 2014 and had talks with Chinese partners in Beijing, Hefei, Nanjing and Xi’an on the possibilities of cooperation in the auto industry. 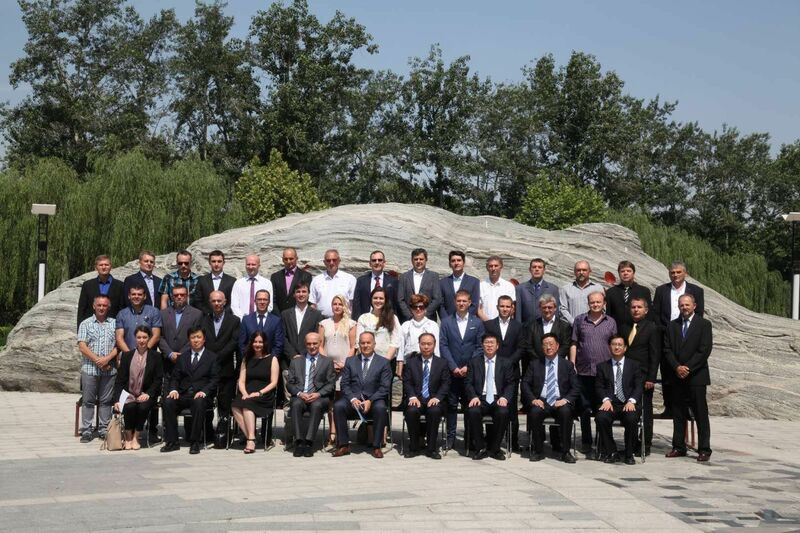 Chargé d' Affaires a. i. of the Embassy of Serbia in Beijing Mrs. Tatjana Panajotović Cvetković took part in the meetings with Chinese partners. (Beijing, 20 February 2014) On 19 February 2013 Embassy of Serbia in Beijing held a reception on the occasion of the National Day and the Armed Forces Day of the Republic of Serbia. 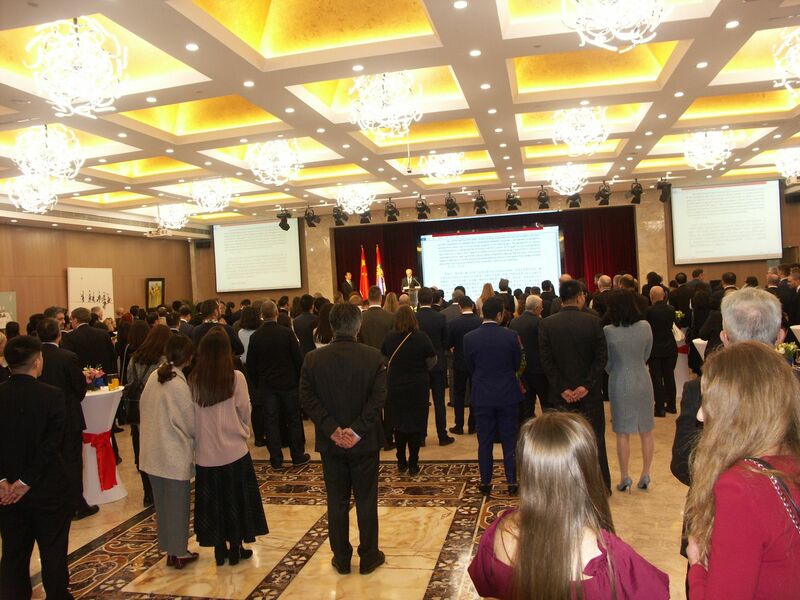 The reception was attended by representatives of major Chinese institutions, the diplomatic and consular corps, military corps, leading Chinese medias, entrepreneurs, Serbian diaspora and many Chinese friends of Serbia. The guest of honor of the Chinese side was the Vice Minister of Foreign Affairs of the People’s Republic of China, H.E. Mr. Wang Chao, who is also the Secretary General of the Secretariat for cooperation between China and 16 Central and Eastern European countries. Guest from the People’s Liberation Army of the People’s Republic of China was Major General Sun Jingwei from the National Defense University of China. During the meeting between Charge d’ Affaires a.i. of the Embassy of Serbia in Beijing Mrs. Tatjana Panajotović Cvetković and the Vice Minister Wang, the high level of bilateral relations between Serbia and China was highlighted, as well as a commitment to further strengthening of the strategic partnership between the two countries. While addressing guests of the reception, Charge d’ Affaires a.i. T. Panajotović Cvetković underlined the excellent cooperation between Serbia and China and briefly presented the foreign policy priorities of the Republic of Serbia. (Beijing, 21 December 2013) The high-level Symposium of the think tanks between China and the countries of Central and Eastern Europe was held in Beijing on 19 December 2013. The Symposium was organized by the Secretariat for cooperation between China and CEE, and the China Foundation for International Studies (CFIS). The event was attended by more than 300 representatives of the governments of CEE countries and China, representatives of the research institutes, independent organizations, think tanks, academia and others. From the Republic of Serbia the meeting was attended by the special advisor to the First Deputy of the Prime Minister of Serbia, N. Stevanović; the former MFA of Serbia and former President of the 67 Session of the UN GA and the director of the Center for International Relations and Sustainable Development V. Jeremić; the former minister of education of Serbia and previous National coordinator for cooperation under the mechanism China – CEE Ž. Obradović; financial director of the company "Telekom" M. Dželetović; former Chief of General Staff of the Serbian Army and former deputy of the MFA Z. Ponoš; former advisor to the MFA and UN GA President D. Krnjević Mišković; former minister of culture of the FR of Yugoslavia and Dean of the Faculty of Media and Communications at the University "Singidunum" N. Popović Perišić and professor at the Faculty of Political Sciences in Belgrade D. Mitrović. In separate presentations on various panels, the participants of the Symposium stressed the importance of cooperation between China and the countries of Central and Eastern Europe, with particular emphasis on strategic partnership between Serbia and China. (Beijing, 29 November 2013) Chinese law firm Beijing Deheng, with the assistance and cooperation of the Austrian law offices Wolf Theis, organized Seminar on Investment in Central and Eastern Europe on 28 November 2013. The seminar was attended by representatives of more than 20 Chinese companies, some of which already have cooperation with Serbia (e.g. CMEC, a company engaged in the revitalization of the "Kostolac" powerplant). 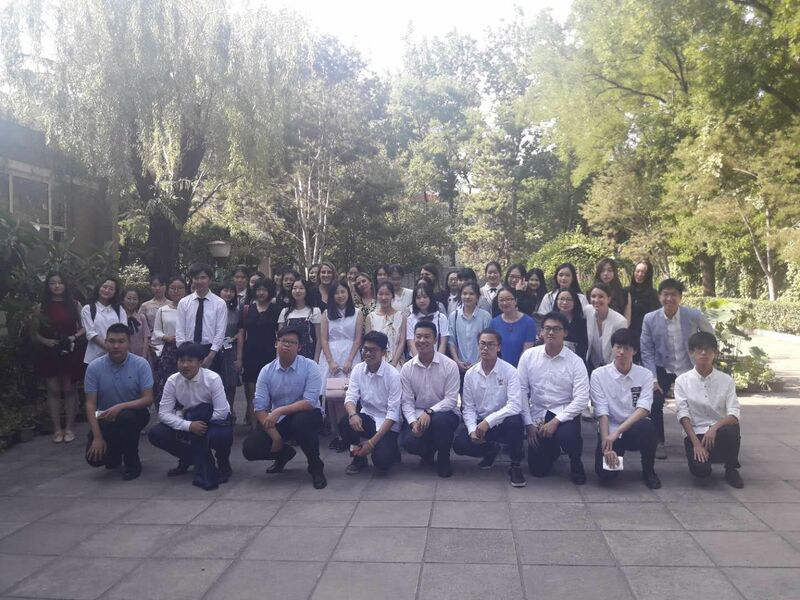 A representative of the Embassy of Serbia in Beijing, counselor M. Stefanović informed the participants of the seminar with investment opportunities and business potential in Serbia. She pointed out that the strategic partnership between Serbia and China and extraordinary political bilateral relations open up opportunities for intensive economic cooperation between the two countries and especially the bigger presence of Chinese investors in the Serbian market. Excellent cooperation between Serbia and China in the field of infrastructure was highlighted, with particular emphasis on the Zemun-Borča bridge on the Danube, China's largest infrastructure project in Europe, as well as the revitalization of "Kostolac" powerplant. Chinese businessmen were invited to invest in strategic sectors in Serbia - infrastructure, energy, natural resources and mining, agriculture, car industry and other fields. 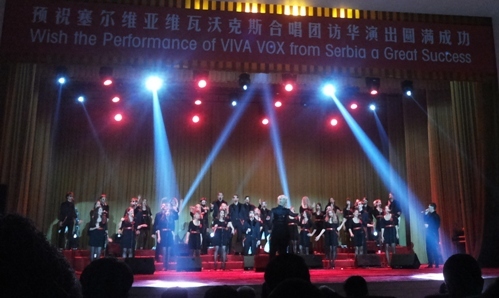 (Beijing, 11 November 2013) Serbian choir "Viva Vox" has performed in the National People's Congress of the People's Republic of China on 8 November 2013. Along with the representatives of the Ministry of Foreign Affairs and the Ministry of Culture of China, at the concert were also present representatives from the other Chinese institutions and the Embassy of the Republic of Serbia in China. The song "Bella Ciao" from the movie "The Bridge", one of the most popular Yugoslav films in China, was among several songs that "Viva Vox" performed in the Chinese language. (Beijing, 1 November 2013) "The First international forum on the East-West cultural integration and dissemination", organized by the Communication University of China and of the "Home and Abroad News Press" in Beijing on 30 October 2013, was attended by experts, representatives of Chinese institutions and diplomatic missions in Beijing. 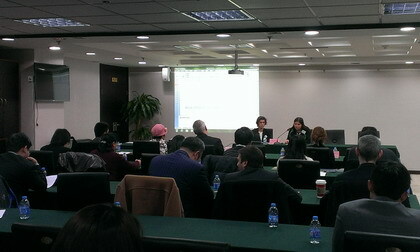 Forum was opened by the president of the "Home and Abroad News Press" Mrs. Wei Yan. The forum participants were greeted by He Peijie, Member of CPPCC Standing Committee and Zhang Fan, the Deputy Secretary of Press and Publication Bureau of the Publicity Department of the CPC Central Committee. They stressed that the process of globalization has led to greater interaction between different civilizations and cultures and that better understanding and stronger cultural and social exchange between East and West is an important goal. 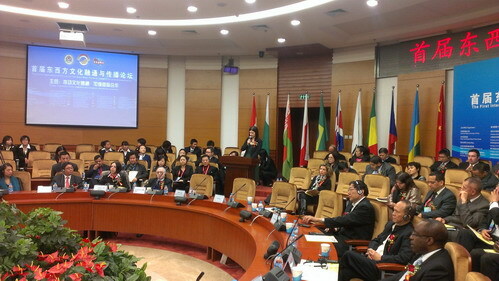 Representatives of diplomatic missions in Beijing also addressed the Forum. Charge d' Affaires a.i. 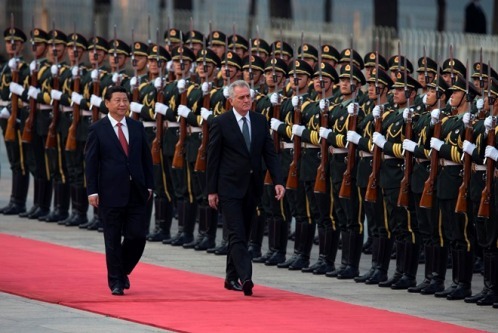 of the Serbian Embassy, T. Panajotović Cvetković, emphasized the excellent level of overall bilateral relations between Serbia and China, as confirmed by the recent visit of the President of the Republic of Serbia Mr. Tomislav Nikolić to China. She underlined that the relations between the two countries are excellent in the field of cultural exchange, which is reflected in high-level visits, cultural events in China and Serbia, student’s exchange programs, learning of languages etc. She highlighted the fact that the China will be the guest of honor at the International Belgrade Book Fair 2014. In his speech, Vice Principal of Communication University of China, Hu Zhengrong, stressed the importance of holding such meetings, which encourage intercultural exchange and cooperation. He praised the cooperation that the CUC has with the University of Belgrade and the Confucius Institute in Belgrade. (Beijing, 26 October 2013) Forum for young political leaders between China and the countries of Central and Eastern Europe was held in Beijing, 23-25 October 2013. The forum was organized by the International Department of the CPC Central Committee in cooperation with the All-China Youth Federation and supported by the Secretariat of China - CEE. The event was attended by 43 representatives of the main political parties in the CEE countries, including three representatives from Serbia - Konstantin Samofalov, Member of Parliament and member of the International Department of the Democratic Party, Mirjana Jocković from Socialist Party of Serbia and Nikola Erić, a member of the Council on Foreign Relations of Serbian Progressive Party. 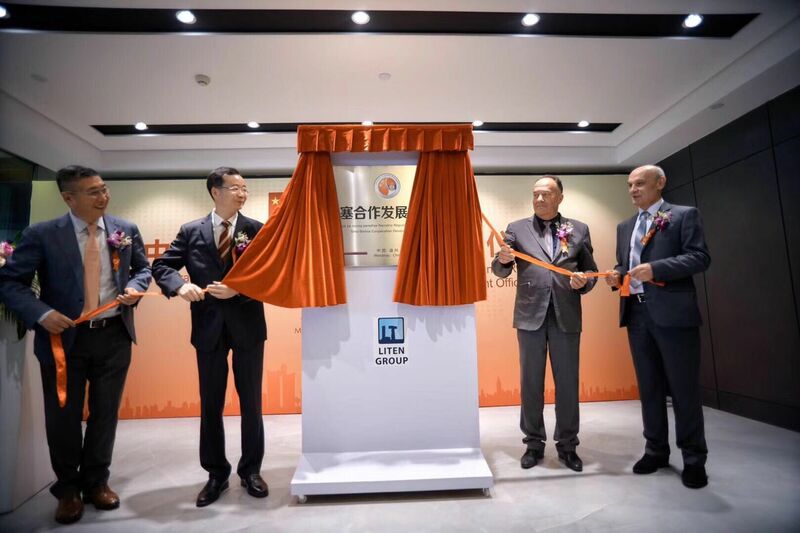 The forum was opened by Wang Jiarui, vice-chairman of the National Committee of the Chinese People's Political Consultative Conference and minister of the International Department of the CPC Central Committee. The opening ceremony was attended by the heads of foreign missions in Beijing from CEE countries, including Charge d’ Affairs a.i. of the Embassy of Serbia T. Panajotović Cvetković, who met with the forum participants from Serbia. (Beijing, 13 October 2013) MFA of Serbia I. Mrkić had a meeting on 12 October 2013 with the Vice-Minister of Foreign Affairs of China Song Tao, who visited Belgrade for a meeting with the Chinese ambassadors from the CEE region, as part of preparations for the summit of China and CEE countries in Bucharest, at the end of November this year. During the meeting, both sides expressed their willingness to further strengthen the strategic partnership between Serbia and China in all areas and confirmed a high degree of mutual trust and support. They emphasized an importance of a visit of the Serbian president T. Nikolić to China in August 2013, when a Joint declaration on deepening the strategic partnership between Serbia and China was signed. Referring to his meeting with Chinese MFA Wang during the visit of president Nikolić to China, Minister Mrkić reiterated his expectation that MFA Wang would soon visit Serbia. Chinese side reiterated consistent support for the sovereignty and territorial integrity of Serbia and our views on Kosovo and Metohija, while Serbian side repeated its continued support to the policy of "one China". MFA Mrkić and Vice-MFA Song Tao, who is also the Secretary General of the Secretariat for Cooperation between China and CEE countries, exchanged views on the upcoming China - CEE Summit, to which both sides attach great importance. (Beijing, 23 June 2013) On 18 June 2013, in the "Broadway Cinematheque Moma" cinema in Beijing, in the presence of about 140 guests (Chinese citizens and students, representatives of Chinese institutions, the diplomatic corps and the Serbian diaspora), opening ceremony of the "Days of Serbian film in the People’s Republic of China" (Serbian film festival) was held. Serbian Film Festival was opened by the Deputy Director General of the Film Bureau of the People’s Republic of China, Mrs. Zhang Ling and head of the film delegation of the Republic of Serbia and Adviser for Culture to the President of Republic of Serbia Mr. Radoslav Pavlovic. Visitors were addressed by the Charge d' Affaires a.i. of the Serbian Embassy in Beijing Mrs. Tatjana Panajotović Cvetković and actress Tamara Dragičević. 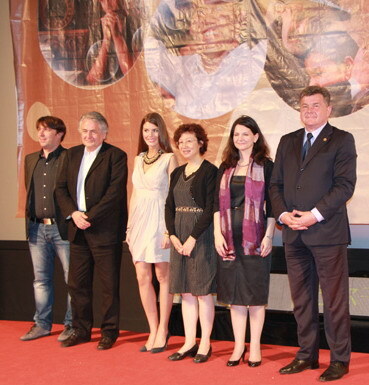 The opening ceremony was followed with a screening of the film "The Scent of Rain in the Balkans". 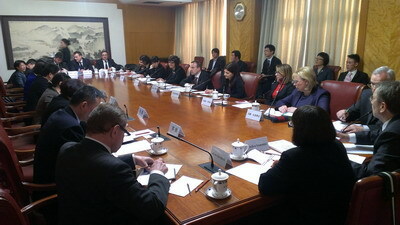 The film delegation of Serbia, during their stay in Beijing and Shanghai, held talks on mutual cooperation with representatives of institutions of the People's Republic of China - Film Bureau of the State Administration of Radio Film and Television, China Film Co-production Corporation and the Shanghai Film Festival. 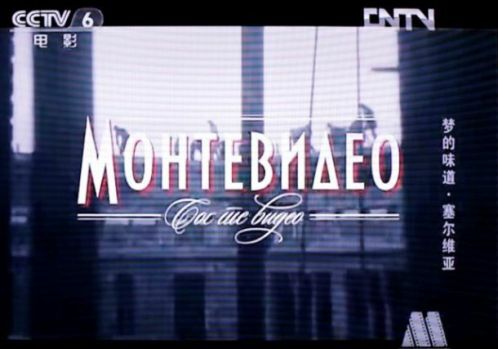 From 18 to 22 June and from 1 to 5 July 2013, 5 contemporary Serbian films will be shown - "The Scent of Rain in the Balkans", "Professor Kosta Vujic’s Hat", "O Gringo", "When Day Breaks" and "Belgrade Phantom". 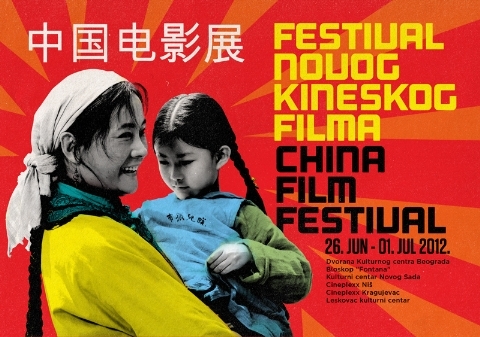 The same films are shown in Shanghai from 21 to 25 June 2013. (Beijing, 20 May 2013) The first Forum on Cultural Cooperation between China and 16 Central and Eastern European Countries was held from 13 to 19 May 2013 in Beijing and Shenzhen. The delegation of the Ministry of Culture and Information of the Republic of Serbia was led by minister Bratislav Petković. During his stay in Beijing (13-16 May) minister B. Petković had a bilateral meeting with the minister of culture of the People’s Republic of China Mr. Cai Wu on the 13 May 2013, when a Programme of Cooperation in the Areas of Culture and Art between the Ministry of Culture and Information of Serbia and Ministry of Culture of China for the period 2013-2016 was signed. The Forum expressed willingness to enhance cooperation and exchanges in the fields of culture and adopted the Guidelines for the development of cultural cooperation between China and CEE countries, which expressed the intention of all parties to further improve cultural cooperation. During the Forum, a retrospective exhibition of cultural exchange between China and CEE was opened at the National Museum of China, where were, among others, exhibited photographs and publications that show long-lasting and fruitful cooperation between China and Serbia. Delegation of the Ministry of Culture and Information of Serbia has also visited Shenzhen (16-19 May), and participated in a Forum on international marketing of products and projects in the field of culture. (Beijing, 25 April) Fourth China-Europe High-level Political Parties Forum organized by the International Department of the Central Committee of the Communist Party of China was held in the city of Suzhou from 20 to 24 April 2013. Leaders and senior representatives of the CPC and the political parties from Europe discussed the ways to strengthen the overall political and economic relations and cooperation between China and countries of Europe, through inter-party cooperation. Delegations of 44 political parties from 27 European countries, including the Republic of Serbia, were represented in the Forum. The delegation of the Socialist Party of Serbia was headed by Milomir Premović, advisor to the Prime Minister of Serbia and President of the SPS Ivica Dačić, while the Serbian Progressive Party was represented by a member of its Economic Council Darko Popović. During the discussions in the Forum, Milomir Premović stressed the importance of the Forum for the promotion of mutual understanding and inter-party cooperation and the strengthening of overall relations between China and Europe. He stressed the importance Serbia attaches to its strategic partnership with China. (Beijing, 9 April 2013) This year's Conference of the Boao Forum for Asia (5-8. 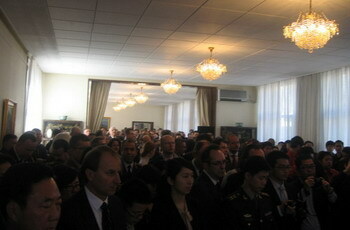 April 2013) was attended by some 1,500 participants from 43 countries. The Forum brought together senior state representatives, influential international organizations, companies, banks, media and academic institutions. The conference was opened by the President of the People’s Republic of China Xi Jinping and 12 other chiefs of states and governments, as well as the President of the UN General Assembly V. Jeremic. 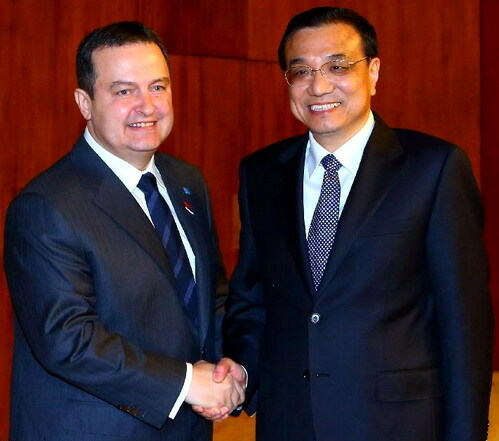 PGA UN V. Jeremic had meetings with the President of the People’s Republic of China Xi Jinping, and other foreign officials at the sidelines of the Conference. Boao Forum for Asia is a non-profit organization that aims to promote mutual cooperation and development of Asian countries. It has been held since 2001 on the island of Hainan in the People's Republic of China, and every year it brings together leaders of Asian countries, heads of state and government from all over the world and representatives of business and academia. 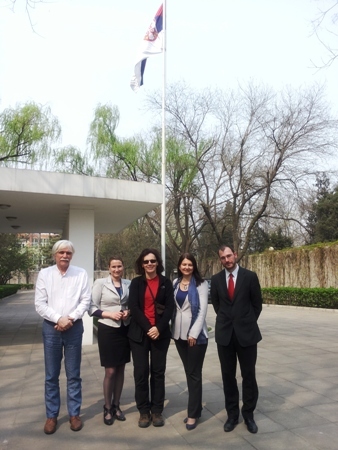 (Beijing, 2 April 2013) At the invitation of Beijing Foreign Studies University (BFSU), Charge d’ Affaires a.i. 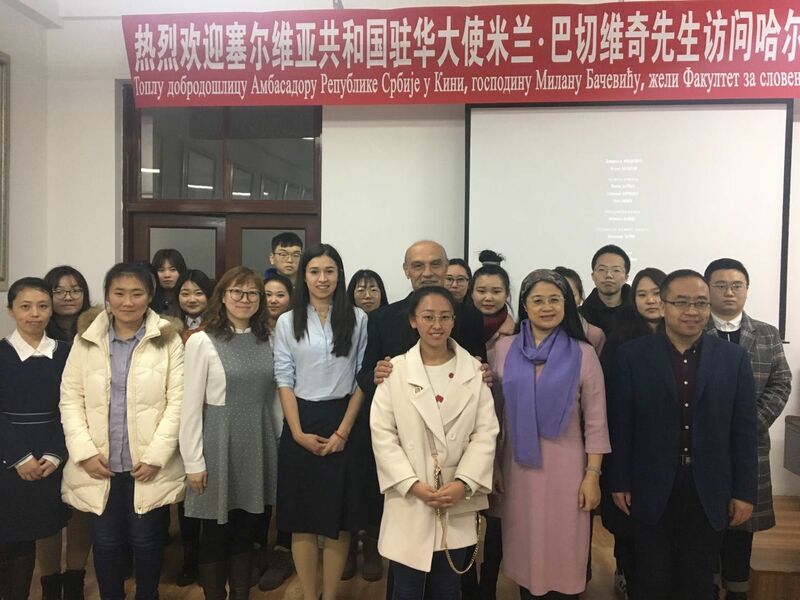 of the Embassy of Serbia in Beijing T. Panajotović Cvetković visited the Department for Serbian Language and Literature at BFSU. 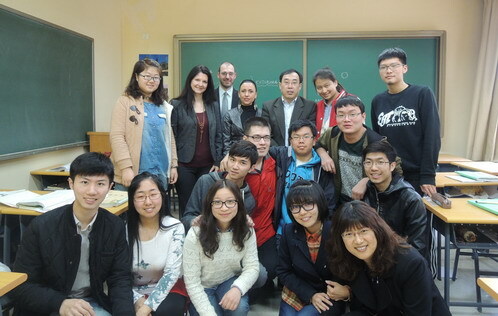 She had talks with Chinese students of Serbian language and lecturer N. Radosavljević. 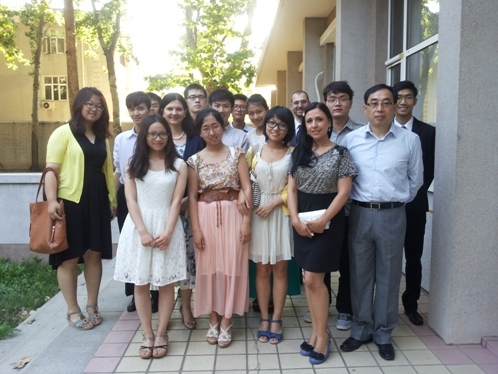 Chinese students showed great interest in Serbia and a good knowledge of the Serbian language. During the conversation, representatives of the Embassy of Serbia presented the culture and customs of Serbia and answered students' questions. (Beijing, March 2013) As part of the traditional celebration of Francophone month in China, Embassy of Serbia in Beijing, as in previous years, took an active part in cultural and sports events. At the Francophonie Film Festival this year Serbia presented the film "Montevideo," which was shown in four Chinese cities (Suzhou, Shanghai, Beijing and Nanjing). Projections in Beijing (cinema at the Embassy of Poland and theater Penghao) were well attended by the Chinese public, Serbian diaspora and diplomatic corps, welcomed by Charge d' Affaires a.i. Mrs. T. P. Cvetković. In the organization of the French Embassy, the French Institute in China and L'Equipe, a diplomatic football tournament was held on the 9th March 2013 at the O'le football field in Beijing. Team of the Serbian Embassy was ranked 2nd, in the competition of teams of Austria, France, Bulgaria, D.R. of Congo and the Benelux. On the internet forum of the French Embassy entitled "China and the Francophonie," among other messages of heads of diplomatic missions, message of Charge d' Affaires a.i. Mrs. T. P. Cvetković was published (click here). Starting from 4 April 2013, citizens of the People’s Republic of China - holders of SAR Macao passports, can travel to the Republic of Serbia without visa and can stay in Serbia up to 90 days within the period of 180 days from the date of the first entry. 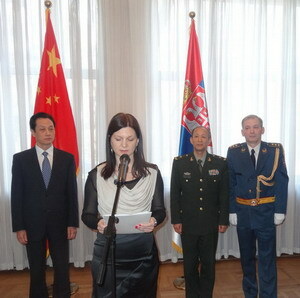 (Beijing, 20 February 2013) The reception was held in the Embassy of the Republic of Serbia on the 19 February 2013 on the occasion of the National Day and the Day of the Army of Serbia. 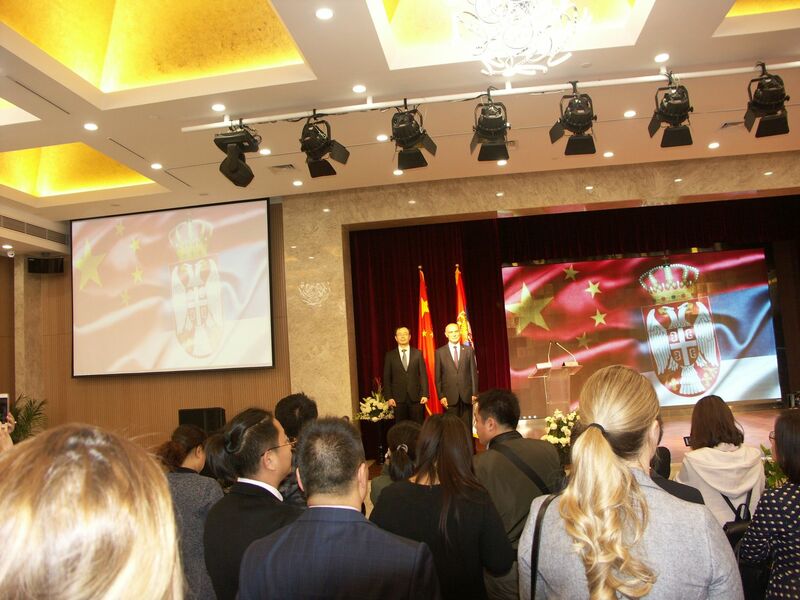 The reception was attended by representatives of major Chinese institutions, diplomatic and consular corps, the military corps, leading Chinese medias, business, Serbian diaspora, and many Chinese friends of Serbia. On the Chinese side, the guests of honor were Assistant Minister of Foreign Affairs Mr. Le Yucheng, and the Chinese army's General Ci Guovei. (Beijing, 4 December 2012) "Global Times" organized first diplomatic basketball tournament, "Embassy Hoop Fest championship" on 1 December 2012. 16 teams participated in the tournament. In addition to the team of the organizer and three sponsor teams, teams of the 12 embassies in Beijing participated: USA, Canada, Thailand, Switzerland, Turkey, Slovenia, Poland, Italy, Argentina, Greece, Lithuania and Serbia. 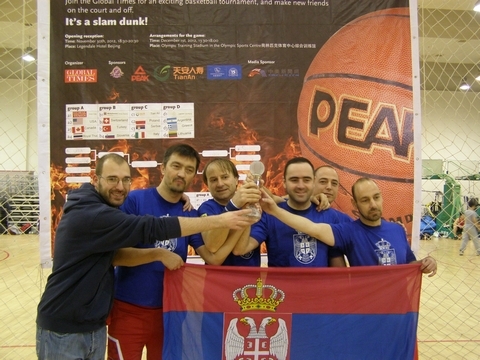 Serbian team won the first place in the tournament, with a maximum 6 wins. Serbian team passed through the group stage beating teams of Poland, Italy and the company Tian An Life Insurance. In the quarterfinals Serbia defeated the team of Greece, and in the semi-finals once more Tian An. Serbia won the first trophy of the diplomatic basketball tournament by defeating the U.S. Embassy team with the score of 14-13. (BEIJING, 8 October 2012) The "China Open" tennis tournament was held in Beijing from 28 September to 7 October 2012. Players from Serbia – Jelena Janković, Ana Ivanović and Novak Djoković – participated in the tournament. The men's top seed N. Djoković triumphed, winning the "China Open" trophy for the third time. On behalf of the Embassy of the Republic of Serbia, N. Djoković was greeted by Mrs T. Panajotović Cvetković, Charge d' Affaires a.i. The tennis tournament in Beijing has once again confirmed the popularity of N. Djoković in China. Serbian player had the support of organized groups of Chinese fans on all the matches. N. Djoković is also one of the most popular athletes on Chinese social networks, where he has millions of "fans". 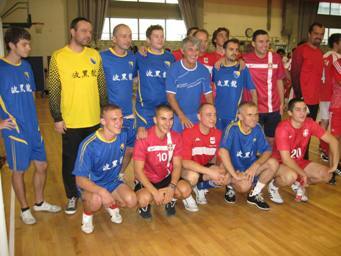 (Beijing, 17 September 2012) Diplomatic football tournament "Milu Cup 2012" was held in Beijing on 16 September 2012, in the honor of the famous Serbian football coach Bora Milutinović. "Milu Cup", held in the presence of the Chinese media, the diplomatic corps, Serbian diaspora and numerous Chinese football fans, has grown into a traditional event, which brings together an increasing number of participants every year. This year's tournament was attended by 23 teams, with players from 30 countries. The fourth "Milu Cup", organized by the Embassy of the Republic of Serbia was won by the "Milu Stars Aspire" team, led by our famous coach. Second place went to the team of the Chinese State Committee for Sport and third place was won by the team of the Embassy of Serbia. 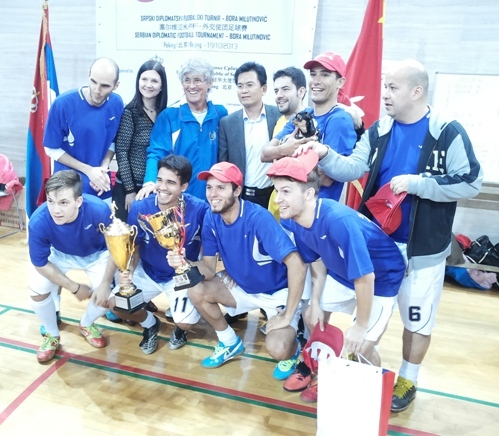 Charge d' Affaires of the Embassy of the Republic of Serbia, Tatjana Panajotović Cvetković and CEO of China Machinery Engineering Corporation (CMEC), sponsor of this year's, "Milu Cup" awarded the winners with the trophies. (Beijing, 7 September 2012) Minister of Education, Science and Technology of the Republic of Serbia, Prof. dr Žarko Obradović, who is appointed as national coordinator for the cooperation of the Republic of Serbia and the People's Republic of China to the mechanism of cooperation between the P.R. 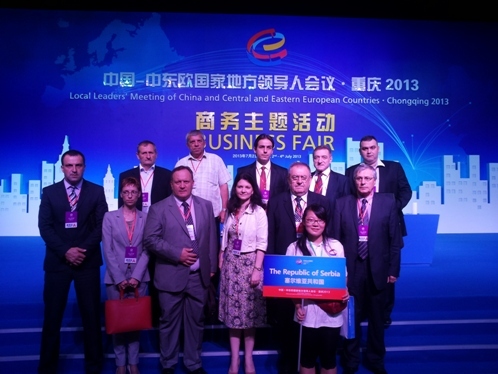 of China and the countries of Central and Eastern Europe (CEE), participated in the founding conference of the Secretariat for cooperation between China and CEE countries, which was held in Beijing 4-6 September 2012. At the meeting of the national coordinators and at a special reception held by the Premier of the State Council of the Peoples Republic of China, Mr. Wen Jiabao, Minister Obradović presented the development projects of the Republic of Serbia in the field of infrastructure, energy, telecommunications, environment, science, health, education and other areas. 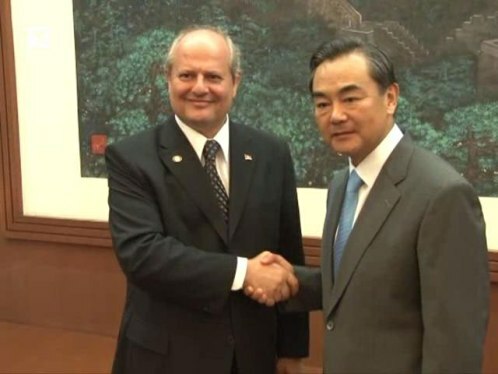 On this occasion, Mr. Obradović presented the Chinese side the invitation of the Serbian Prime Minister Mr. Ivica Dačić to hold the next meeting of the prime ministers of CEE Countries and China in Serbia in 2013. 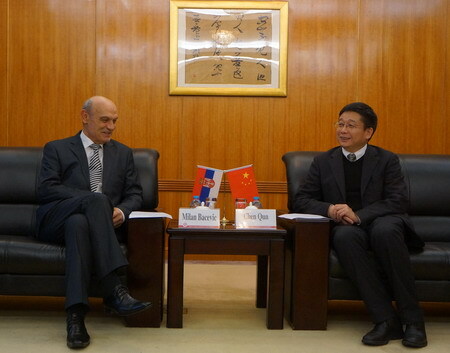 During the visit Minister Obradović met with the Minister of Science and Technology of the People's Republic of China, and discussed current bilateral scientific and technological cooperation in order to further promote the strategic partnership between the Republic of Serbia and the People’s Republic of China. (Beijing, 14 May 2012) Team of the Embassy of Serbia attended the 16th diplomatic Football Cup, which was organized by the State Administration of Sport of the People’s Republic of China, on 12 May 2012, in Xianghe, near Beijing. In a competition of 15 teams, the Embassy of Turkmenistan won the tournament, while the Serbian Embassy team finished ninth. 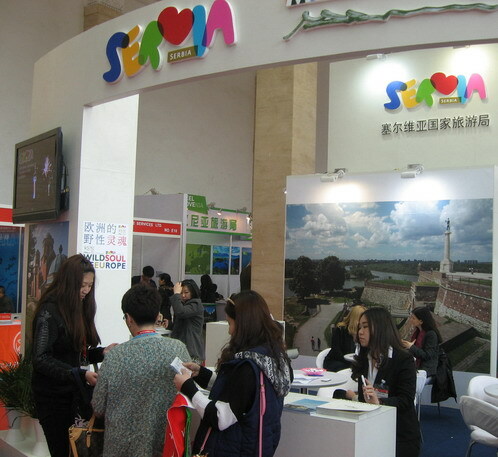 (Beijing, 30 April 2012) At the Eighth International Tourism Fair in Beijing, dedicated to Chinese tourists traveling abroad (China Outbound Travel and Tourism Market - COTTM), Tourist Organization of Serbia (TOS) presented the tourism potential of Serbia and invited Chinese partners to cooperate. 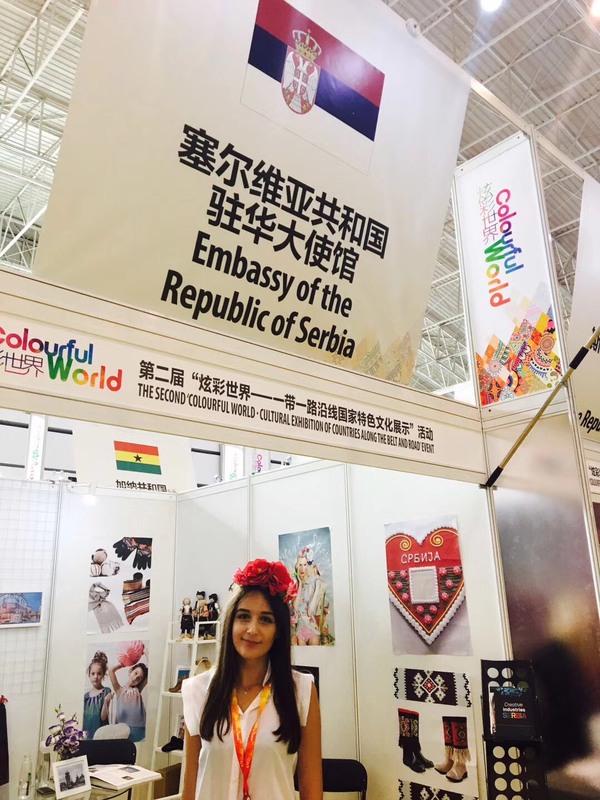 On the opening day of the Fair, in the presence of media and Chinese travel agencies, TOS presented natural beauty and tourist attractions of Serbia that are offered to Chinese tourists. TOS stand was very well visited during the fair, especially by the press and travel agents. In a press conference, TOS communicated to the tourist officials of the People’s Republic of China that there are special visa facilitation for group travels to Serbia.